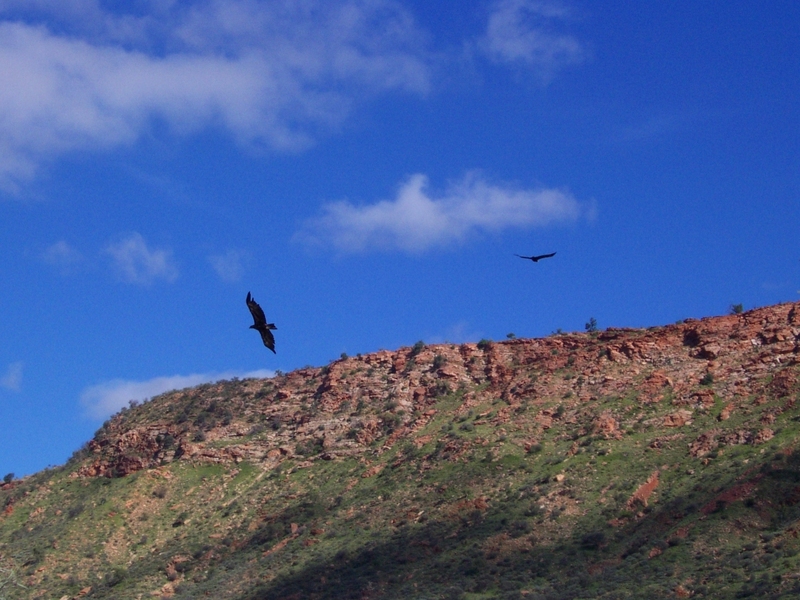 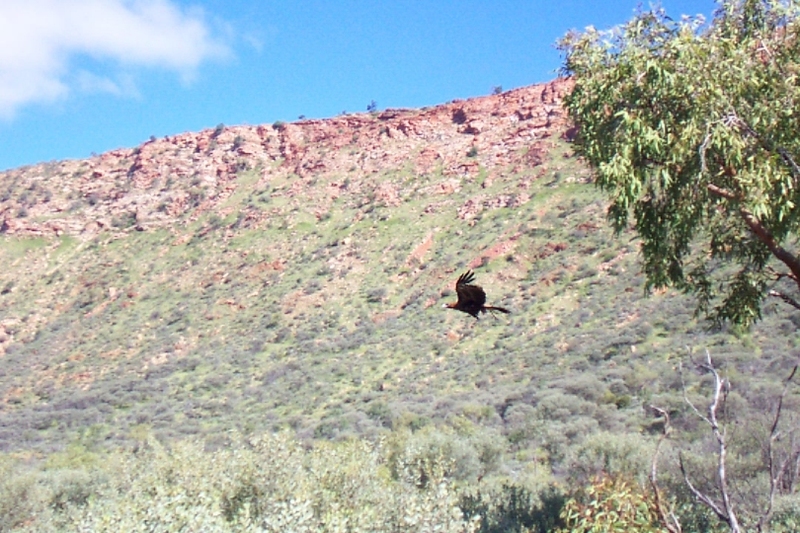 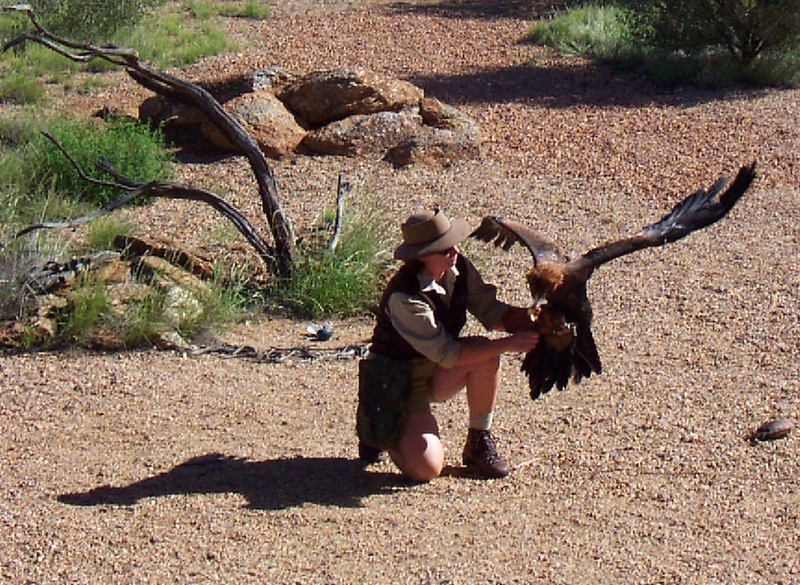 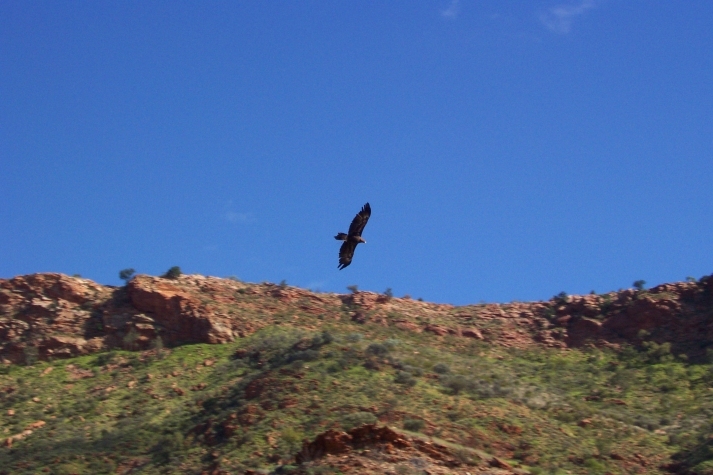 These pictures were taken at Alice Springs Desert Park, it was a nicer day so the eagle was flying. 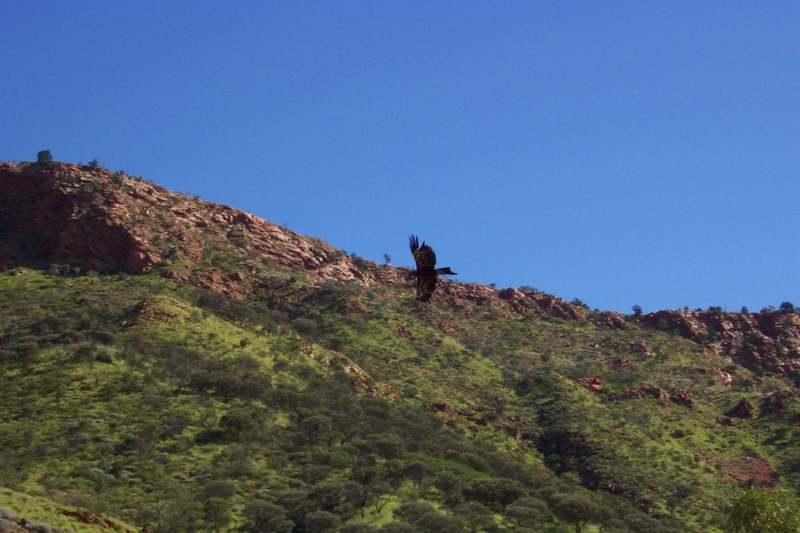 A wild pair of eagles live in the rocks not far from the Nature Theatre, here the wild male flies to indicate his territory to the captive male. 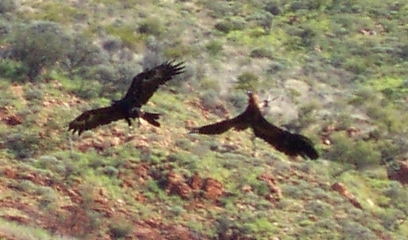 Both eagles, just after they locked talons in flight.